Bali is popular all year round, but there are certain times of the year that are better to go than others. 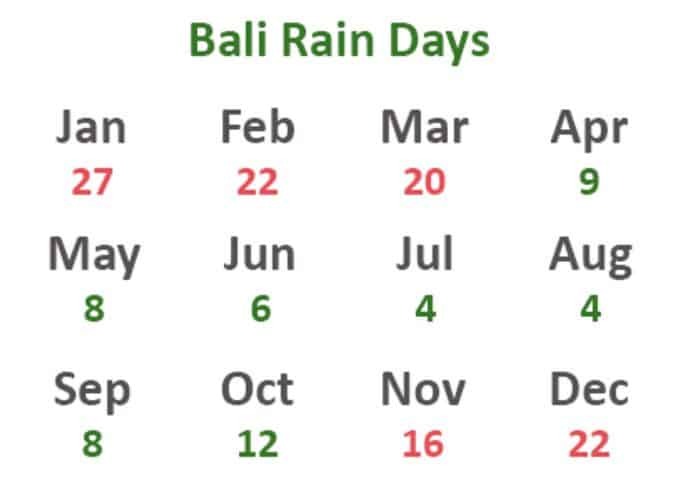 Bali’s weather is hot every day, with rainy periods during the monsoon months. You will only need shorts and t-shirts in Bali, unless you are climbing a mountain at sunrise which will require something a little warmer. Wet weather lasts from October all through to March. During these months, it is not uncommon to experience high humidity, torrential rains, often in short bursts and regular storms. For this reason, many travellers opt not to travel during the wet months as it can become very uncomfortable. Dry weather commences in April and lasts through to September. During these months, humidity is at bearable levels. Rains are irregular, and even when it does rain, it does not come in torrents, but rather short bursts. 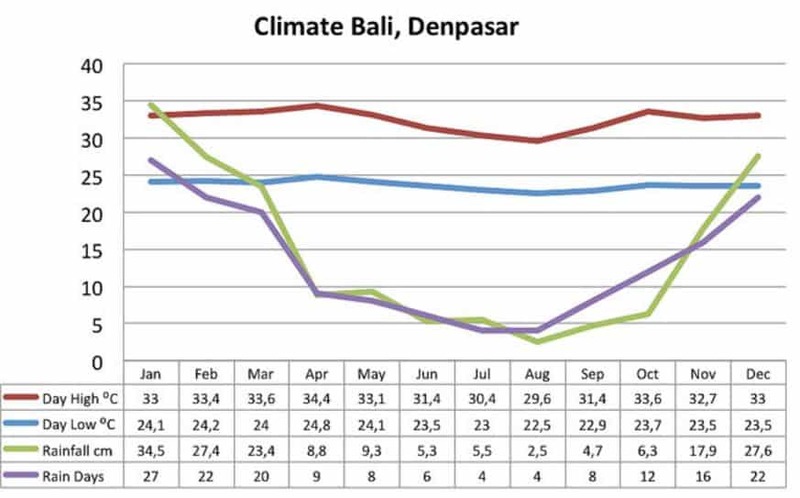 Since most foreigners visit Bali between June and September, the peak season causes the cost of travel-related services to soar. Finding a balance in the time of travel, bearing in mind Bali weather patterns, will go a long way in ensuring that you have an exciting trip. The best times to visit are therefore April, May, June and September. There is slightly less humidity, less crowds and hotels are 30-50% cheaper.